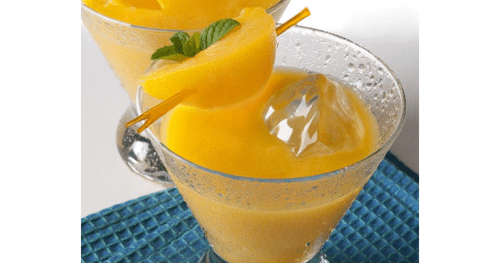 This refreshing peach drink can be enjoyed as a cocktail or mocktail! 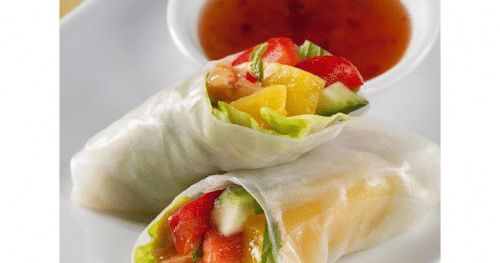 These wraps are perfect for lunch or as an appetizer! 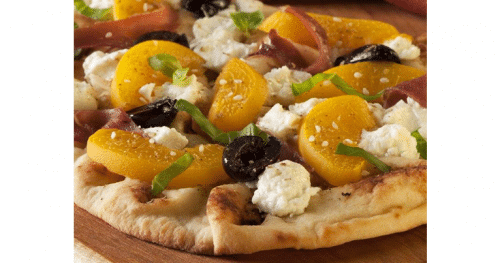 This recipe includes an interesting mix of spices and other ingredients that make a delicious flatbread pizza! 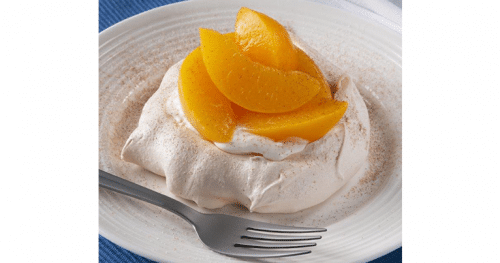 These pavlovas are a yummy dessert! PCP original recipe by Michelle Franklin-Berg! This is a perfect dinner for a hot summer night! 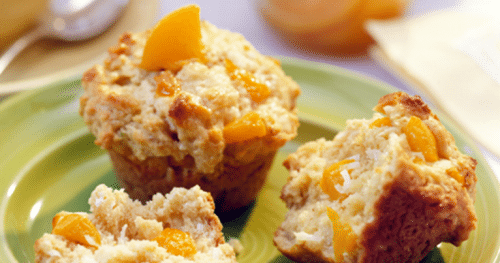 These muffins are great for breakfast, dessert, or a snack at any time of the day! 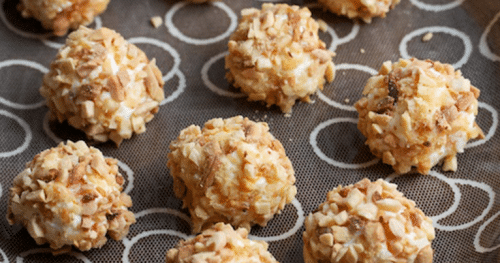 These easy-to-make gems are perfect for spring entertaining—as suited to an Easter lunch spread as to the first outdoor cocktail party of the season. 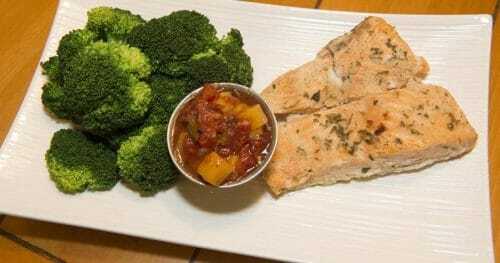 Try this simple baked salmon for an elegant meal on a busy weeknight. Created by PCP employee Sotheara Ong. 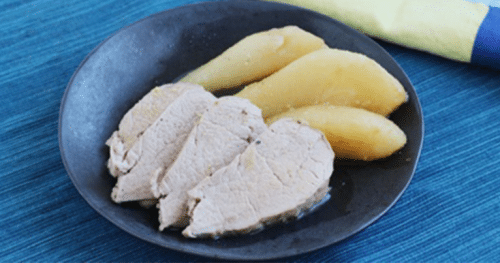 Pork and pears are a perfect combination! It might not be as obvious as some other combinations but it works. Think of “sweet and sour pork” but without the strange colorful sauce or the deep frying. 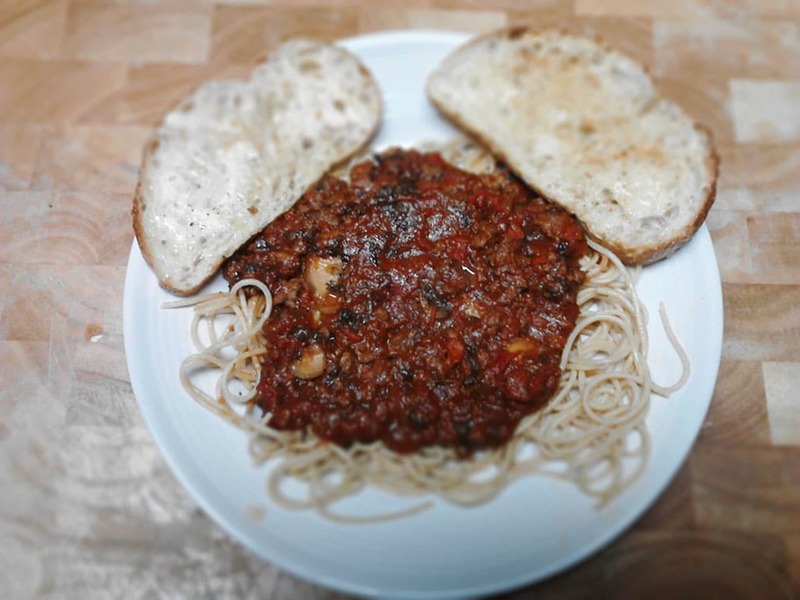 Ground beef and a mix of tomatoes and seasonings come together to make this hearty and flavorful spaghetti sauce. Created by PCP Employee Daniel Suenram.